Photographer with a difference! : Town Guardian. 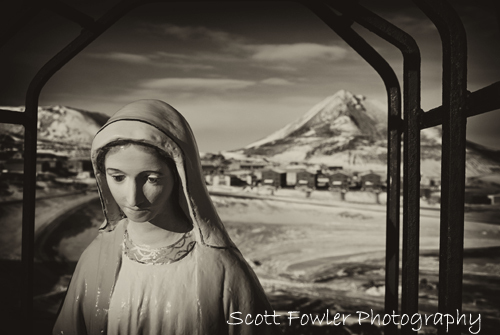 This is the Virgin Mary down on Antarctica.